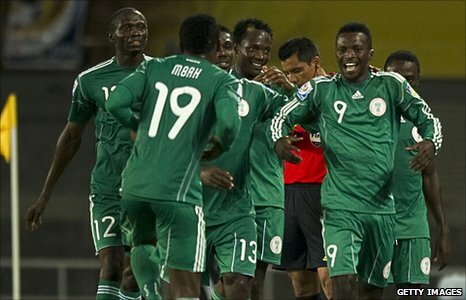 The Nigerians are one of the hot favourites to lift the tournament trophy. England Under 20s have concluded their World Cup campaign by loosing to Nigeria in the second round. Brian Eastick’s side went through the group stage without conceding, but also not scoring a goal. A single Nigerian goal was enough to knock England out in the second round, but Eastick’s side can come out of the tournament with their heads held high. Before Nigeria’s goal it was all England. Their superior and dominating possession however did not result in a goal. Eastick had warned his side that they needed to take their chances if they wanted to progress in the tournament. Against Korea and Mexico in the group stages England could have easily took their chances and avoided the Nigerians in this second round match. England knew that maybe luck wouldn’t be on their side once again. Arguably England’s player of the tournament, Billy Knott, had the best chance of the game but saw his volley bounce back off the Nigerian crossbar. Edafe Egbedi became the first player in the tournament to breach England’s defence as he finished from close-range. Nigerian goalkeeper Dami Paul did superbly well to deny attempt after attempt from England. They piled on the pressure right until the final whistle. This exit for England marked the end of the summer’s tournaments for the Young Lions. Hopefully we will be seeing a few of these Under 20 players in Stuart Pearce’s squad in the coming months.